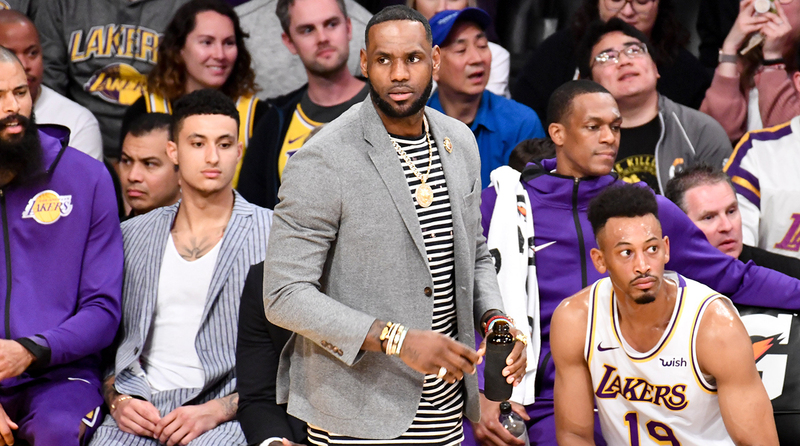 There have already been some eulogies written on this absurd Lakers season, and there will probably be even more to come this summer. LeBron James’s first year in Hollywood (don’t do it, don’t do it, don’t do it) WAS LIKE A HIGH-BUDGET FLOP. (I’m sorry. But seriously though, we’re talking a Will Smith in Wild Wild West-level bust.) While the long-term implications of James’s decision to spend his career twilight in L.A. are still murky—who is going to be in the Space Jam 2 cast? Is this basketball team ever going to be good?—the short-term consequences are crystal clear: The postseason is going to be a lot less interesting. Some people may say they have LeBron fatigue. Others may say they are excited for the league’s new generations of stars to take over and put their stamp on the playoffs. Even more random people I’m creating may in fact not like LeBron, and are taking great pleasure in watching his Finals reign crumble. To all these people (who may or may not exist) I say, what the hell is wrong with you? I don’t think the postseason is going to be bad. The East actually has some competition at the top, which is a nice start. My Denver Nuggets are a new entrant in the West, and I’m excited to watch Nikola Jokic get tested in a seven-game series. A Giannis vs. Embiid matchup could set the stage for a classic rivalry. But what all these storylines lack are the narrative heft LeBron brings every time he steps onto a basketball court. Previous PostPrevious How Does Zion Williamson Measure Up to LeBron James?